Asian shares were fragile on Monday as investors remained unconvinced about U.S. President Donald Trump's ability to fulfill his economic agenda, even as the departure of his controversial policy strategist raised hopes of some progress. 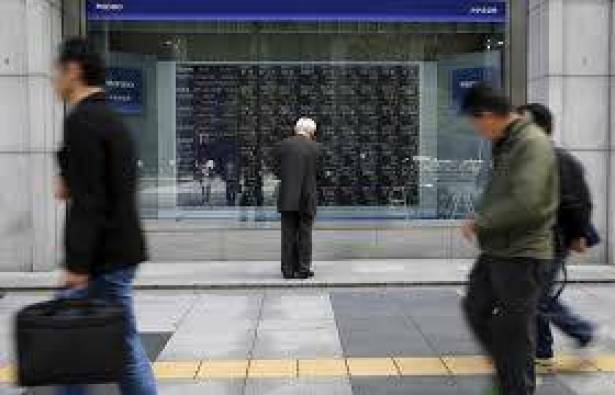 Japan's Nikkei shed 0.4 percent to hit a 3-1/2-month low, shrugging off a Reuters poll which showed confidence at Japanese manufacturers rose to its highest level in a decade in August. MSCI's broadest index of Asia-Pacific shares outside Japan was barely in the black thanks to modest gains in China, but in most other markets, including Australia, South Korea and Taiwan were in the red. S&P Mini futures were down 0.1 percent at 2,423, not far from their one-month low of 2,419.5 touched on Friday. Wall Street shares got only a short-lived boost on Friday after Trump fired White House chief strategist Steve Bannon. "Markets seem to think that the administration will remain fragile and its ability to carry out its policies will be hampered even after Bannon's departure," said Masahiro Ichikawa, senior strategist at Sumitomo Mitsui Asset Management. Although Bannon's departure removes a major source of friction within the White House, Trump's attacks on fellow Republicans following violence in Virginia earlier this month have isolated him, prompting some Republicans to beginning questioning Trump's capacity to govern. Investors were also wary of any flare-up of tensions between North Korea and United States as U.S. troops and South Korean forces started a joint exercise on Monday. Many investors suspect Pyongyang might respond to the latest drill with more sabre-rattling, such as missile tests, although it has said last week it delayed a decision on firing four missiles toward Guam, home to a U.S. air base and Navy facility. Tech-heavy Korean shares - one of the best performers globally for much of this year - have lost momentum since last month, partly on worries about escalating tensions in the Korean Peninsula. In the currency market, the dollar was also hampered by political uncertainty in Washington. Against the yen, the dollar fetched 109.22 yen, not far from Friday's four-month low of 108.605. The euro stood at $1.1715, stuck in its rough $1.17-$1.18 range in the past two weeks. Investors are looking to European Central Bank chief Mario Draghi's comments later this week at a meeting of the world's central bankers in Jackson Hole, Wyoming. But sources told Reuters last week he will not deliver any fresh policy messages. Federal Reserve Chair Janet Yellen's keynote speech at the symposium will also be a main attraction for markets. Comments last week from Fed officials suggested the stock market's steady rise, still low long-term bond yields and a sagging dollar are girding the Fed's intent to raise interest rates again this year despite concerns about weak inflation. "People focus on inflation but in the Fed's minutes policymakers spend a lot of time discussing whether bond yields are too low or asset prices are too high. If Yellen questions market stability, markets will expect a tighter policy," Hiroko Iwaki, senior bond strategist at Mizuho Securities. The 10-year U.S. Treasuries yield slipped to as low as 2.162 percent on Friday - its lowest since late June - and last stood at 2.203 percent. Oil markets were stable, holding on to Friday's big gains even though rising U.S. output weighed on hopes the market will tighten with crude inventories down 13 percent since March. U.S. crude futures were unchanged at $48.53 per barrel while Brent futures were also flat at $52.72 per barrel.